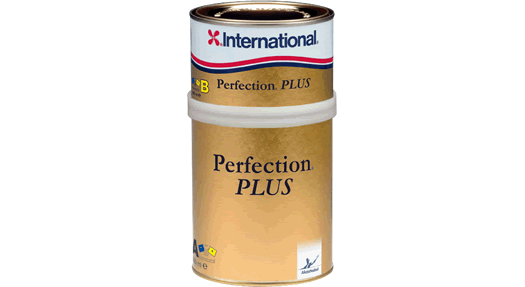 The UK MCA recommend 2-pack paint and varnish such as International Perfection Plus on new wooden builds and restorations. It is expensive, it needs special thinners rather than white spirit, but it gives the hardest, longest lasting finish, good UV protection and the best lusture. Most, it not all, marine paint brands have a 2-pack product in their range. Here are some top tips regarding the use of International 2 pack. The hardener is, I understand, to some extent moisture cured. So it's best to keep it in a warm dry place (like the airing cupboard). The varnish part is OK the the garage. Sadly, once opened, the hardener will go off eventually, and you can't buy it separately. Even unopened hardener will start to go off eventually (after about 3 years). As far as I can see, the hardener for the paint & for the varnish are identical, so I just have one tin of hardener open at a time and use if for paint or varnish as required. Once you can't get any more hardener out of the tin via the spout, you can get the remaining hardener out by taking the tin lid off (sadly you may need to bend the lid to get it off). Apart from 'waste not, want not', this can help get one tin of hardener to cure more than one tin of paint/varnish, which is alway useful. If you save the lids of empty tins of paint or varnish, you can can use these on the tin of hardener. I don't bother with International 'Universal Clear Primer' (UCP) or 'Clear Wood Sealer'. I just prime bare wood areas with slightly thinned varnish (I think they suggest thinning 10% with Thinners no 9). In my experience the UCP discolours at a faster rate than varnish in UV light, so you have to revarnish a patch of bare wood, and prime with UCP, it can end up a slightly different colour to the surronding wood. BOAT FINISHING isn’t just a cover-up job. It’s for protection. 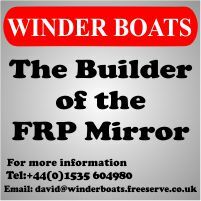 By bearing in mind some straightforward rules you can make your boat a winner and save yourself a lot of trouble later on in the season. To this end, International Yacht Paints have produced four practical booklets giving you all the information you need on antifoulings, glass fibre, varnishes, and general boat painting. It’s not just theory, either. The emphasis on all four is on doing it yourself with International’s years of experience to back you. When the surface has been sandpapered smooth, the question of removing the sanding-down dust must be tackled. The best way to do this is with a vacuum cleaner, which extracts the dust from the grain and leaves the surface dust-free, If a vacuum cleaner is not available a vigorous brushing along the grain will remose much of the dust which is lodged there. The Penetrating Wood Primer used as a first coat is so made that it is comparatively slow drying and has ample time to soak well into the wood and seal it. It will appear reasonably dry after about 24 hours and is finally hardened off by the application of a first coat of Polyurethane. It is not necessary to wait 24 hours before the Polyurethane is applied; indeed, such a wait would be a disadvantage if there were any local dust or contamination in the air which could settle on the Penetrating Wood Primer and stick there. To get a reasonable drying time it is essential to have both a degree of warmth and a free circulation of air. The evaporation of solvents from the paint and the oxidisation of the varnish part of the paint are only properly achieved in freely circulating air. If, for instance, you are painting in a comparatively small garage with the doors closed, only a certain amount of evaporation and oxidation will take place. The air inside soon becomes overladen with fumes since the air circulation is severely restricted. Under these conditions, paint will remain tacky until the air is changed and the processes of evaporation and oxidation are completed. In addition to outlining processes involved, there are fully explanatory sections dealing with choice of material and degree of finish, types of abrasive, and grades of paper. a check list of paint faults and a specification and description of materials. We recommend that first coats of varnish are thinned with the appropriate solvent and worked into the timber with a short bristled brush. For two-component varnishes special penetrating primers are available. 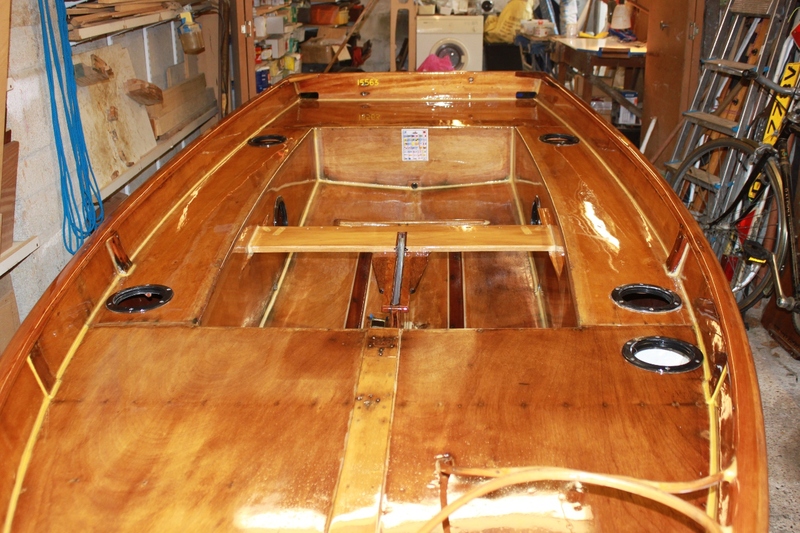 Two or three coats of varnish should be applied before rubbing down. Varnish should be applied freely and left to flow. The final coat should be applied with a good quality brush with long, flexible hairs, Varnish can be sprayed but it is advisable to brush the first coat to make sure of penetration. The booklet also outlines International’s six varnishing programmes and describes the full range of International varnishes. There is also a section on possible varnish faults and ways to avoid them. All four booklets can he obtained free of charge from International Yacht Paints. 24/30 Canute Road, Southampton. 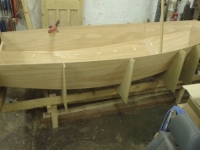 There can be no doubt that the trouble you take to finish your boat properly will pay off in the long run. So don’t cut any corners here — and ensure success. Editor's note - This article is from Reflections No. 11 Autumn 1973, page 9 and has been captured by OCR, so typos & errors are possible.